Want a Mock interview in ETL? Have a job interview coming up in ETL Informatica? Doing a trial run can give you the preparation you need to nail the real thing. A mock interview can help you formulate smart answers and show you where your weak spots are. 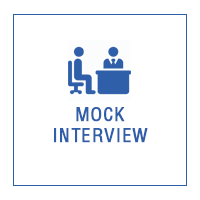 Mock interviews give you the opportunity to think through what questions you’re going to be asked and how to articulate your thoughts. Doing mock interviews can also boost your self-confidence, which will come in handy the next time you sit down for a real job interview. Ready for the real thing? Send a mail to kvtinformatica@gmail.com and Schedule your Mock interview now! just for $30.